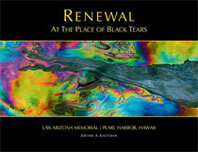 Pearl Harbor, Hawaii – The Hawaii release of my new book Renewal at The Place of Black Tears coincides with the 50th Anniversary of the USS Arizona Memorial (1962-2012). It also marks the transition of Pearl Harbor from primarily a place where people remember a battle to a site dedicated to peace. I have been in Hawaii preparing for and making presentations, meeting people, attending events, doing book signings, debriefing lessons learned and more for much of May and June. 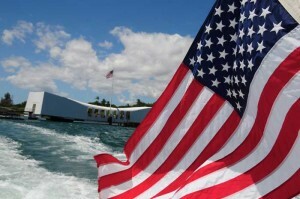 While activities are scheduled throughout the year, many of my activities have concentrated around Memorial Day at the WWII Valor in the Pacific Historic Monument – Pearl Harbor Visitor Center. This has been a period of full immersion and discovery for me. Through a series of blogs I share some of the key elements of this experience as well as background and process leading up to the launch of Renewal At The Place of Black Tears.